Some Northern Virginia leaders were surprised to learn this week that Metro’s summer shutdown of six Blue and Yellow Line stations could have lingering effects into the fall. Metro has said all stations south of Reagan National Airport will be closed from May 25 through Sept. 2, as well as round-the-clock single tracking, reducing Blue Line service to every 24 minutes for most of September (Sept. 3-29) when the stations reopen. There was no similar information about extended work at other stations, but Fairfax County’s Department of Transportation told county supervisors this week that some type of work at Van Dorn Street could run as late as Oct. 4, while work at Huntington and Franconia-Springfield could run as late as Dec. 2. That does not necessarily mean there will be rush hour disruptions for those periods, since some work could be done on nights or weekends and other wrap-up work may be able to proceed even while trains are running. “Service impacts after Labor Day will be determined in summer 2019 after construction begins and crews are able to assess the construction needs at each station,” a recent update to Metro’s information page about the project said. Fairfax County supervisors Jeff McKay and Dan Storck were among those surprised to learn this week that all work is not scheduled to be completed by Labor Day. “The contractor has an incentive to finish as early as possible, and the incentive is higher the closer to Sept. 2 that they finish, but it is possible that they will need to have some single-tracking operations following Sept. 2 through Dec. 2, and it may be intermittent depending on what work that they’re doing,” Fairfax County Transportation Director Tom Besiadny said. Still, McKay worried any disruptions dragging on could add to traffic troubles after vacations are over. “They’re going to have a heck of a time getting passengers back onto the system when this work is done after this closure, and if their first exposure is single tracking for four more months, that’s not going to be good,” McKay said. Storck was also disappointed because the issue had not come up during a recent meeting with Metro, fueling his concerns about communication and outreach. County transportation leaders are setting up additional briefings with Metro. “It’s been less than a week that we’ve been aware that they were planning to go past Sept. 2,” Besiadny said. 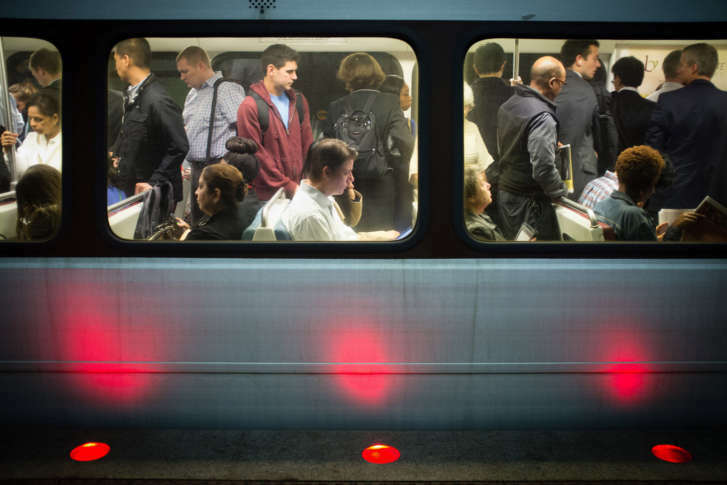 Metro is still finalizing initial work schedules based on the latest testing of crumbling concrete platforms and other issues to be addressed during the work, General Manager Paul Wiedefeld said Thursday. “We’re just starting that, as we’ve said, but the vast majority of the work will be done during the summer,” Wiedefeld said. Alexandria City Councilwoman Del Pepper asked transportation officials Tuesday night when she will be able to take the train in and out of D.C.
Mayor Justin Wilson called that a cheap shot at Metro. “It was meant,” Pepper responded. Franconia-Springfield, Van Dorn Street, Huntington, Eisenhower Avenue, King Street and Braddock Road stations are scheduled to close May 25 and reopen Sept. 3. Alexandria and Fairfax County officials are concerned about parking during the shutdown as people look for alternatives. Metro is still working to finalize its plans. “I see absolutely no reason why Metro shouldn’t be offering free parking throughout this entire ordeal,” McKay said. Fairfax County and Metro are working on that, Besiadny said, particularly at Franconia-Springfield where there could be options to slug or carpool, use shuttle buses or take VRE. Covering for lost parking revenue due to decreased ridership or waiving fees must be worked out though since revenues help cover bond payments. “There will be nothing more frustrating to sluggers or other folks to see a Metro parking garage sitting empty and we are stuck with all these cars on the interstate,” McKay said. So far, Metro has promised parking will be available at all Metro garages, but not any discounts. “The non-rider fee will be waived at Franconia-Springfield and Huntington garages. Station-specific parking information such as parking lot capacities will be provided later this spring,” Metro’s information page says. At Huntington, the south garage, which has been closed since last year because the failing structure posed a safety risk, will no longer be torn down during the closure this summer as initially planned because that would prevent other work from getting done, Wiedefeld said Thursday. “That garage is actually tied to the station … so we’ve come up with some other thoughts there,” Wiedefeld said. It means another closure of at least the south part of the area will be needed in a year or so, but it also allows buses to continue to serve both sides of the station during this summer’s shutdown. Shuttle buses will run from the south bus loops to the north bus loops to provide access even while the station itself is closed. Metro has rented a parking lot near Huntington to store buses and will have buses on the street at King Street due to ongoing construction there. Metro is also turning the Kiss and Ride lot at Van Dorn Street into bus stops during the shutdown this summer. Metro is still sorting out where to put private shuttles and the temporary kiss and ride area at Van Dorn Street this summer.